Not my usual genre I found myself intrigued by the title of the novel before I really got into the plot. 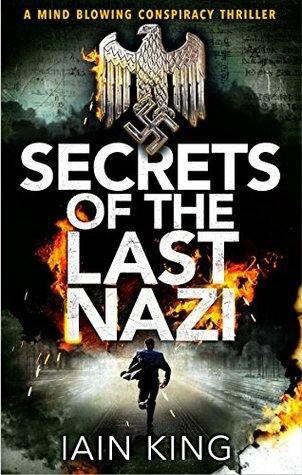 There was something about the title that made me want to find out what secrets there could possibly still be out there to find about such a horrific part of human history. 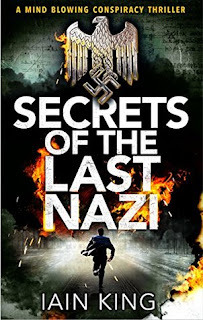 The novel is suspenseful from the first pages and though we are exposed quite early to the Nazi secrets of the title there are aspects of the plot that remain a mystery for a long time yet- thus the suspenseful nature of the book! I was thoroughly on edge most of the read- I wasn’t sure who to trust and was convinced we were going to be losing delegate members at every chapter so was a bit wary about who I would allow myself to like. The imminent danger after the first lost member was palpable for me and yet they seemed determined to follow through on their mission. Personally I would have called in some bigger guns but that’s likely why this is not the profession for me. I loved the descriptions of the areas and it really came alive for me in many scenes. The characters were properly developed without taking anything away from the fast pace of the plot. My only complaint was a murder scene with a hanging that left me feeling like I’d been given too much imagery to be able to sleep that night. This is exactly why I’m not usually a suspense/thriller reader- my whole family is up at night due to my bad dreams! Luckily I pushed through that scene and there were no others quite so gory and nightmare inducing. I was really glad I did because the novel was full of interesting thoughts and the challenges to scientific, religious and ethereal concepts throughout definitely made me think.